If you or a loved one has suffered an orthopedic injury such as a broken bone, fracture, or a dislocation or the deterioration of bone, then the attorneys at the Law Offices of Michael A. Fiumara would like to help you get full compensation for your injuries and facilitate your speedy recovery. If the orthopedic injury was due to the negligence of a third-party or your employer, then the legal services of our personal injury attorneys can force those parties to uphold their obligations to restore your financial circumstances and long-term health. Whether you simply require workers’ compensation benefits to hold you over until your third party negligence lawsuit is filed to recover damages for your medical expenses and pain and suffering the personal injury attorneys at the Law Offices of Michael A. Fiumara can help. Payments for all medical expenses and treatment. Weekly payment for lost income and lost wages. Lump sum payments and negotiated settlements. Temporary disability payments or extensions based upon inability to work due to the disability. Funds to refinance anticipated future medical expenses and surgeries. Broken bones can take at least 3-6 months to heal depending upon the severity of the injury and the age of the injured person. The older we get, the longer our bones take to heal from a fracture or breakage. A child may be healed in just a few months while an older adult may need medical treatment for a year or more and that doesn’t include rehabilitation. In severe cases, the broken bones never heal completely leaving the patient with a lifetime of pain, instability, and disability which our skilled and experienced attorneys will fight to achieve full compensation for these injuries. Fractures may be classified as stable, displaced, spiral, comminuted, transvers, oblique, open or compound. Depending on the type and severity of the fracture, surgical remedies may be necessary. Intramedullary fixation, where a rod is placed through the bone. Surgical pins, plates and screws. To understand your best options and strategy for securing the full compensation that you deserve, we would be happy to schedule a free initial confidential consultation and case evaluation at any one of our conveniently located offices in Santa Rosa or San Rafael. However, if your injury prevents you from traveling to us, we would be glad to arrange a time and place to meet you at your home, the hospital or any other rehabilitation facility that you are resting in to make it convenient and easy for you. 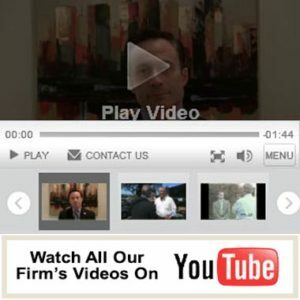 At the Law Offices of Michael A. Fiumara, our broken bone injury accident lawyers have the skill and experience in providing aggressive representation and have achieved great results for our clients by fighting hard to secure the most favorable settlement or jury verdict if we need to go to court. Our law firm is a full-service legal firm which prides itself on being client focused and is always willing and able to answer questions about not only the legal process that you face, but your medical concerns. Our law firm manages the entire legal process from the beginning until the end, from the negotiation stage with the negligent parties up to and including all correspondence with their insurers so that you are able to focus completely on your full recovery. It is important for you and any family member to immediately become proactive and consult with one of our personal injury accident lawyers at the Law Offices of Michael A. Fiumara. Since 1992, we have assisted injured parties obtain full compensation for their medical expenses, hospital bills, pain and suffering, loss of earnings, and other damages. CALL THE LAW OFFICES OF MICHAEL A. FIUMARA ABOUT YOUR ORTHOPEDIC INJURIES FOR A FREE AND CONFIDENTIAL CONSULTATION AND CASE EVALUATION.